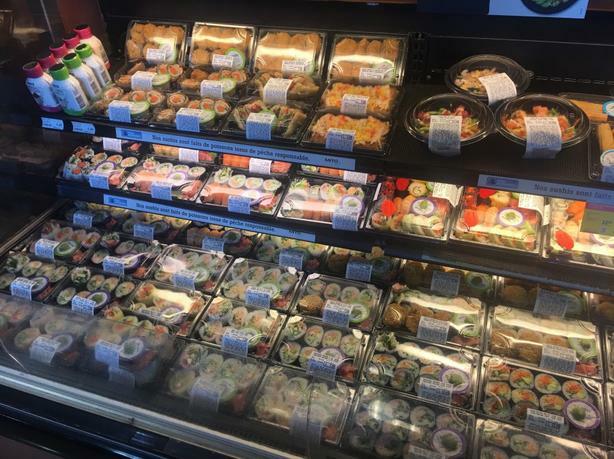 A Franchised Sushi Counter inside a supermarket is for sell (38,000$ + taxes). It doesn't matter if you have no experience with Sushi rolls, The Sushi company provides training and marketing support(advertisement, promotional event, etc.). Advantages : 1. You don't need a big sum to start a business of your own. 2. You don't need to pay any monthly rent and electricity bill, etc. 3. You don't need to invest any money afterwards. 4. You receive a stable income from the Sushi company (your income= the weekly sales - the franchise fee by the Supermarket - the franchise fee by the Sushi company - the raw materials you purchase from the Sushi company). 5. One person can operate, or if it's a couple, you have the potential to make the sales increase further. 6. You will recover your investment within one year. Ideal for those who look for a stable income, but without big financial savings, so there's actually no finical risk. Also ideal for new immigrants who look for a stable life to support a family. Instead of working a minimum income job, why not choose to start a business of your own ? Sales data can be provided upon request.